Frêtes 11 is an apartment full of character with two bedrooms located in Méribel Village. It enjoys an ideal location 150 meters from the slopes and the shops. It also offers the advantage of an easy access to the centre of Meribel by a free shuttle bus which stops a few meters from the residence. The apartment Frêtes 11 has free access to the MGM pool located within 5 minutes walk. The decoration of this flat is in the purest spirit of the French Alps: the ubiquitous wood is mixed with warm colors and fabrics with traditional motifs. The living area receives a large warm living room, a cozy dining area and an open plan kitchen. Push the door of the balcony and admire the views that are available to you on the various peaks around and the valley. The apartment Frêtes 11 is the promise of good moments of sharing and conviviality for its four occupants. The residence of "Fermes de Meribel Village" les Frêtes, is just a few minutes from the shops, bars, restaurants and the Golf chairlift which connects you to the Three Valley ski area. The ski-bus stop is very near and the free shuttle bus takes you in few minutes to the centre of Meribel (ESF ski-school meeting point). 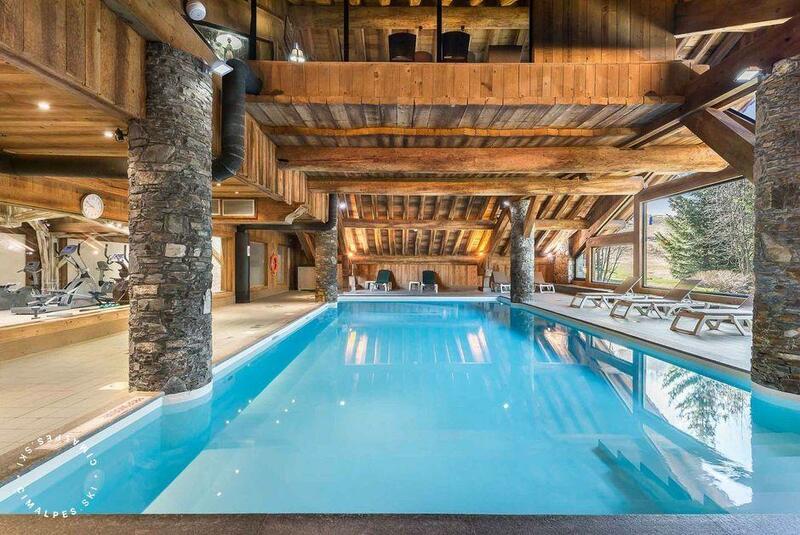 Free access to the swimming pool, hammam and sauna located in the main residence of "Fermes de Meribel Village". Guests will be able to use the swimming pool, sauna and steam room located on level -1 of the residence Pierre & Vacance, a mere 5 minutes walk from the apartment. Living area : There is a cosy living room with TV and a fully equipped open plan kitchen. Direct access to the South facing balcony from the living room. The dining table seats 4 people. Leisure areas : Guests will be able to use the swimming pool, sauna and steam room located on level -1 of the residence Pierre & Vacance, a mere 5 minutes walk from the apartment. Les Frêtes 11 is an apartment with a beautiful vue over the valley. 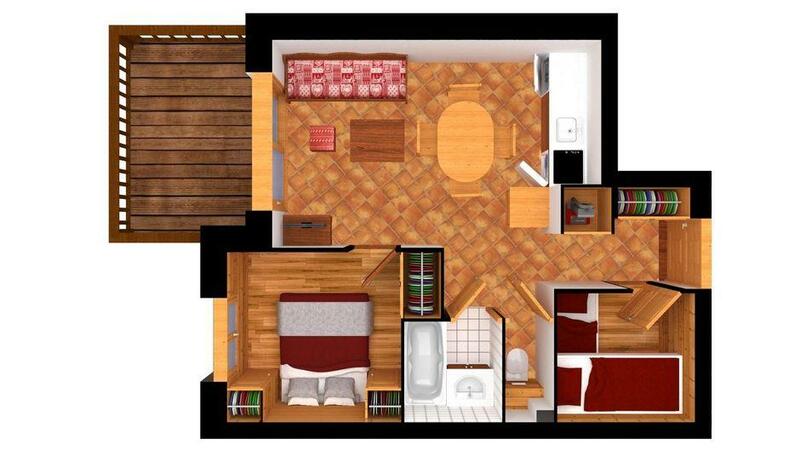 Located 150 meters from the slopes and the shops and village centre. Free access to the swimming pool, sauna and hammam of the main building of the "fermes de Meribel Village". A great choice for a family with children.